Mahomes has thrown 10 touchdown passes, an NFL record for touchdown passes after two games, and he has yet to throw an interception. His passer rating of 143.3 leads the NFL by a sizable margin. 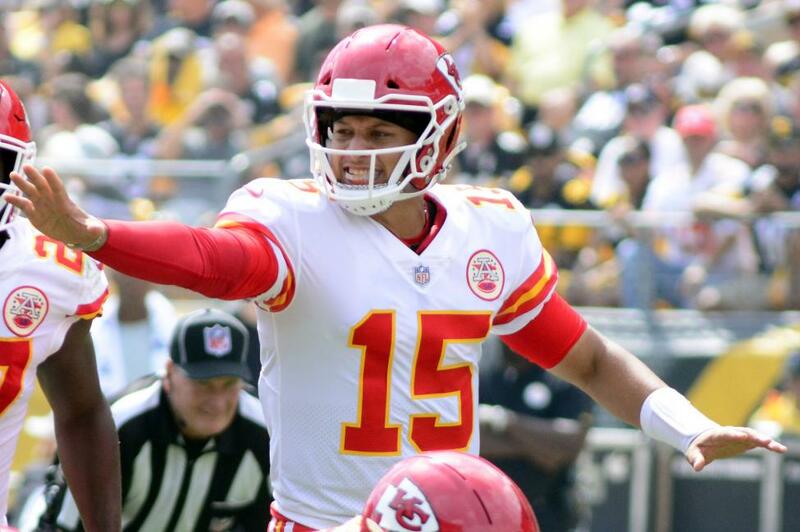 The Chiefs lead the NFL in scoring (40.0 points per game) in large part because of Mahomes' excellence. "Reuben hasn't been here in two weeks [and Wednesday was] going to be Malcolm's first day of full practice," Shanahan said Wednesday. "So we want to see how all of those guys do and it'll be a tough decision at the end of the week, but a tough decision I'm going to be happy to have to make." The 49ers have a big defensive line, led by 6-foot-7, 300-pound defensive tackle DeForest Buckner. He currently ranks second in the league with 3.5 sacks on the season. Offensively, the 49ers are looking for Jimmy Garoppolo to be the sensation he was last season, when he was 5-0 as a starter. He had a rough start against the Vikings, throwing three interceptions in his first NFL loss as a starter. He was solid last week, completing 18-of-26 passes for 206 yards, two touchdowns and no interceptions. The surprise for the 49ers last week was running back Matt Breida, who had 138 rushing yards against the Lions and leads the NFL in rushing yardage after two games with 184. His impressive 8.4 yards per carry also leads the league. Kansas City has allowed opposing teams to average 4.5 yards per rushing attempt, which ranks 23rd in the NFL, and the Chiefs will need to shore up that department against Breida and the 49ers.